The probable FA decision to reprimand West Bromich Albion footballer Nicolas Anelka for five matches due his so-called “Anti-Semitic gesture” after scoring against West Ham Unite on 28 December 2013 is another example how the Jewish race is over-bearingly paranoia and prejudice against gentiles. West Brom’s Nicolas Anelka faces a minimum five-match ban if found guilty by the Football Association of making the controversial “quenelle” gesture. The striker made the sign, described as an inverted Nazi salute, after scoring against West Ham on 28 December. Anelka was given a 34-page document detailing the allegations and has until 18:00 GMT on Thursday to respond. West Brom sponsor Zoopla will end its agreement with the club at the end of the season because of the incident. The former France international used the “quenelle” the day after the French government announced it was trying to ban the shows of controversial comedian Dieudonne M’bala M’bala’s, who is a friend of Anelka’s and uses the gesture as a trademark. In a statement, the FA said it had charged the 34-year-old, who started Monday’s draw with Everton, with making a gesture that was “abusive and/or indecent and/or insulting and/or improper”. It added it was “an aggravated breach in that it included a reference to ethnic origin and/or race and/or religion or belief”. The minimum suspension for the offence is five games, but the FA, who appointed an expert to help with its investigation, can increase that if they see fit. “The player is now considering his options,”West Brom said in a statement. Anti-discrimination group Kick It Out also issued a statement, expressing frustration over the length of time it has taken the FA to act. It claimed the governing body had “spent a longer time than desirable”, adding that it hoped “this matter can now be quickly concluded”. Jewish groups had complained to France president Francois Hollande, describing the gesture as a “Nazi salute in reverse”. They linked it to increasing anti-Semitic remarks and acts in the country. Comedian Dieudonne has threatened to sue the groups for calling it a Nazi salute and says it stands for his anti-Zionist and anti-establishment views, rather than anti-Semitism. However, a leading Jewish organisation, The Board of Deputies of British Jews, issued its own statement backing the FA. “We support the FA in treating this incident seriously and we look to them to follow through with equal determination,” it read. Alan Cleverley, secretary of the West Bromwich Albion Official Supporters’ Club, said if Anelka is found guilty by the FA, he “deserves everything he gets”. Anelka, who made the gesture after scoring in the 3-3 draw at Upton Park, has promised not to repeat the sign, which he said was made in support of Dieudonne. If Anelka is found guilty and suspended, it would reduce the number of attacking options for new Baggies head coach Pepe Mel, who has already seen Shane Long move to Hull City in a £7m deal. French national team footballer Anelka is a French citizen and a Muslim convert, who takes on the Abdul Salam Bilal. The agenda of media in the West to sought the sentiments of British Jews to commen on Anelka’s “Quenella” gesture without giving the same opportunity for British and French Muslims to express themselves is another good instance of the International Jewish paranoia and prejudice. If the English FA makes a decision to reprimand Anelka, proves the point that the football organisation is pro-Jewish and prejudice against Non-Jews, whenever there is a doubt in determining what is “Anti Semitic” or otherwise. West Brom sponsor Zoopla have decided to end their sponsorship of the club at the end of the season because of Nicolas Anelka’s “quenelle” gesture. Anelka, 34, made the sign, described as an inverted Nazi salute and declared by some to be anti-Semitic, after scoring against West Ham on 28 December, 2013. Zoopla, co-owned by Jewish businessman Alex Chesterman, will focus on other marketing activities. The incident is being investigated by the Football Association. West Brom asked Anelka not to repeat the celebration and have since selected the Frenchman on three occasions. The former Arsenal striker defended his actions in the days following the incident, but, with the FA verdict due any day, the club’s sponsor made its stance clear. The agreement, which started in May 2012, was due to finish at the end of the season and Zoopla has decided not to renew. 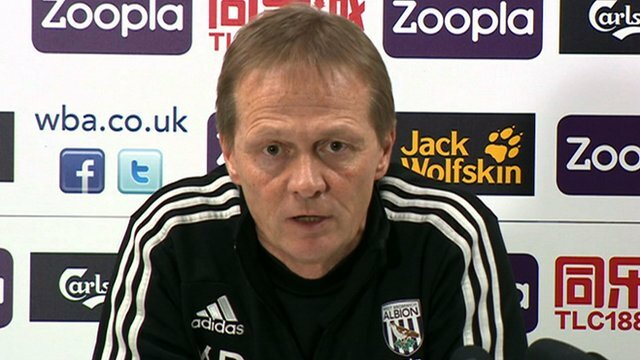 West Brom say they were “aware the deal could expire” and have been “planning accordingly”. Baggies head coach Pepe Mel said he had no issues when selecting Anelka for Monday’s 1-1 draw against West Brom. “Nicolas is a very good player and a very good professional and I am only the head coach,” said Mel. “If he is suspended by the FA, then he is not able to play, but here at the club we must think about winning football matches and he was available. The FA has brought in an expert to help determine whether the gesture, which Anelka made after scoring in a 3-3 draw at Upton Park, was used in an offensive manner. In the meantime, West Brom have refrained from punishing Anelka. Lord Ouseley, chairman of anti-racism campaign group Kick It Out, told BBC Radio 5 Live some clubs are guilty of “hiding behind the FA”. He added: “I think the situation has always been from day one that we have clubs who will not take responsibility. “This has caused a lot of offence to a lot of people. We know that from the complaints we are getting. Anelka said he made the gesture in support of performer Dieudonne M’bala M’bala, whom the French government has tried to ban from making the sign at his shows. The former Real Madrid player’s actions were branded “disgusting” by France’s sports minister. “Of course, I am neither racist nor anti-Semitic and I fully assume my gesture,” Anelka tweeted the day after the controversial celebration. “The meaning of quenelle is anti-system. I do not know what religion has to do with this story. This over-bearing decision to punish WBA as a football club by Neo Con Jewish owners of Zoopla Alex Chesterman and simon Kain is an extension to the prejudice by British Jews whenever the opportunity arises. These same media failed to highlight the voracious anti-Muslim attacks by organisations such Jewish Defence League UK.